There are a lot of unusual games on PlayStation systems. We’ve been fortunate enough to even see some of them released overseas, like Incredible Crisis and Katamari Damacy. However, some stayed trapped in Japan, even if they wouldn’t be difficult to localize and came from developers whose games were known and loved in other regions. 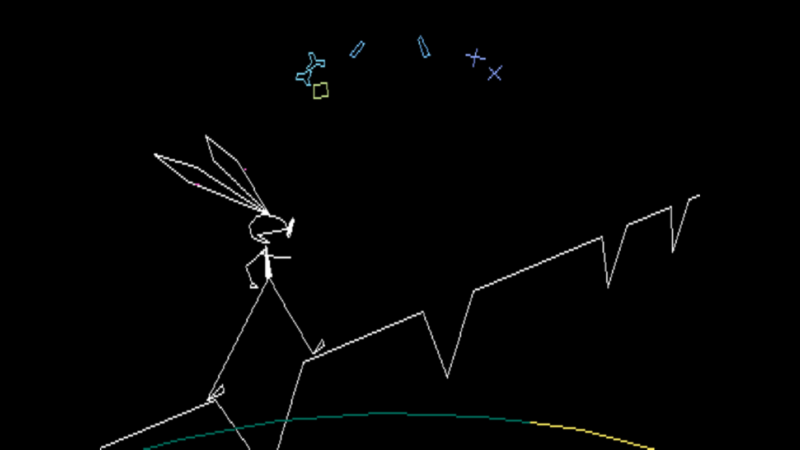 Vib-Ribbon is one of those games. Fortunately for us, it did eventually get released outside of Japan. It just didn’t happen on its original console. Instead, it showed up in October 2014 as a PSOne Classic for the PlayStation 3, PlayStation Portable, and PlayStation Vita. Vib-Ribbon stars a rabbit named Vibri is who taking a walk while listening to some jaunty tunes, and we’re just joining her for it. There. We did it! We figured out the entire story of Vib-Ribbon! Go team! I’m so proud of us. While that may be over-simplifying it, that is the general gist. The game comes with six tracks to start, and encourages you to import your own music for additional tunes to play through. When you do, Vib-Ribbon automatically generates levels for them. The control scheme is deceptively simple. While Vibri is on her walk, you will see images in the path that correspond to different button presses. Like R1 is a loop-de-loop, L1 is a rectangular wall, the down button is a V-shaped valley, and you press X to get over some wavy lines. However, the game will eventually begin combining these shapes on different difficulties. If you see a letter M, that means you have to press down and L1 to have Vibri clear that obstacle. A loop with all sorts of corners means you press R1 and X at once. You have to pay attention, because your performance changes Vibri’s shape. This determines if you can keep playing or it all ends. If you do well, she becomes a queen. If you fail, she eventually turns into a frog, then a bug, then finally loses. A Musical Legacy: What is Vib-Ribbon? Well, do you know NanaOn-Sha? If you answered no, then you really just don’t know that you know NanaOn-Sha. That is the developer behind games like PaRappa the Rapper. The company got its start on the Apple Bandai Pippin with Tunin’ Glue, a piece of music creation software for that failed system. But after that, it moved on to PaRappa the Rapper and Um Jammer Lammy. 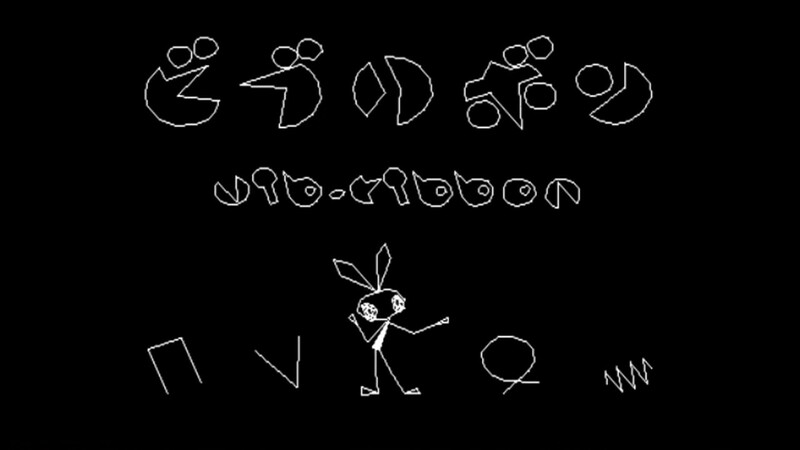 Vib-Ribbon showed the range NanaOn-Sha could show with its music games. Rather than the call-and-answer gameplay from PaRappa-style games. It was more of a direct response to what was happening in the music. It also ended up leading to two follow-up games on the PS2! 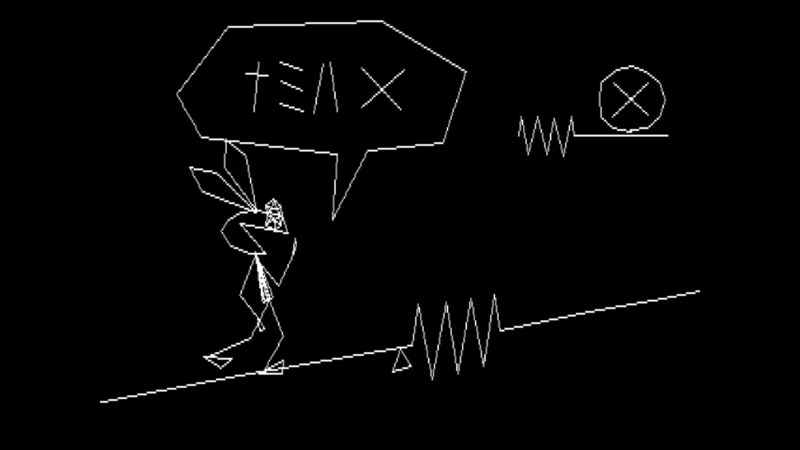 Mojib-Ribbon is a music game about a rapping caligrapher who seems to have a vase for a head. When you play, you dip his brush in the inkstone to write lyrics in time with the music. (It almost seemed like the canceled Project Rap Rabbit could have had a similar vibe.) 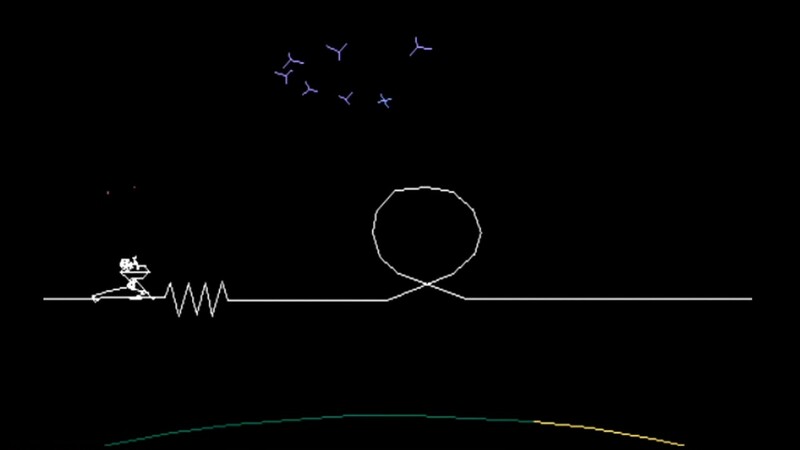 Vib-Ripple is more of an action game. Even though it brings back Vibri, it instead uses photographs to generate levels, with 60 available immediately and players able to add more. This is one of the few success stories. People asked for Vib-Ribbon for years. Just when it seemed most bleak and unlikely, Sony came through. It showed up in a digital format that was affordable, easy to acquire, and playable on multiple platforms. Fortunately for us, it is still very easy to get Vib-Ribbon now. If you visit the PlayStation Store, you can grab a download of it for your PlayStation 3, PlayStation Portable, and PlayStation Vita for $5.99/£3.99/¥617.